The decision to study abroad is a crucial one as it is a high value investment both in terms of money and time and most importantly when it determines one’s future career hence a trial and error method would be the last thing anyone would have on their mind. Questions of various natures are bound to surface. Though this may vary from student to student some of the frequently asked questions are as follows. World class education helps one to shape career successfully in the global market. 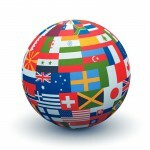 An international qualification is recognized around the globe. Studying abroad gives one a chance to network with global citizens and work for multinational companies. It also provides platform to familiarize with the global market demands and enhance ones career prospects. Which are the popular countries for pursuing higher studies abroad? UK, Canada, Australia and New Zealand are most preferred for higher studies in IT, engineering, Accounting, Business, Hospitality, Nursing, etc. While USA tops for IT studies and engineering Qualifications earned from Germany, Sweden and Norway are gaining global attention. Singapore is increasingly becoming popular for cost-effective western university qualifications. Countries like Russia, Ukraine, Bulgaria, Latvia, Lithuania, and Poland Hungary Malaysia Philippines offer quality and cost effective courses in Medicine. What are the different ways of financial support for my studies abroad? The different means to support one’s studies abroad are: Education loans, Bursaries Sponsorship by individuals / organization; both Indian and foreign governments, private trusts and also universities and institutions. What are the post study job prospects available abroad? Most countries offer stay-back options for students to explore job opportunities on successful completion of their studies. The Coops and internships during the study help Students to network and search for employment opportunities after the completion of study Countries such as Canada, Sweden, Germany, New Zealand, Australia, etc. encourage students to stay back and explore job and PR opportunities after their successfully completing their Study however, the work rights for your dependents are subject to the laws of that country which may change from time to time. What services can I expect from an overseas Education consultant? Experienced and trusted Overseas education consultants like Santa Monica provide candid counseling in choosing the right study options as well as assist you in applying to the institutions of your choice, getting offers, availing bank loans and scholarships, payment of tuition fees, visa documentation, pre-departure guidance and domestic (police clearance certificate, air tickets, money exchange) and international support (airport pick up, temporary accommodation, job search, community connections, legal issue helps, etc) to ensure a smooth transition. What should I do if the institution rejects my application for a particular program? If an institution rejects your application, you can re-attempt to apply for a suitable program matching your profile in the same institution itself with more supporting documents or choose an alternative option in other institutions where your profile would be eligible. 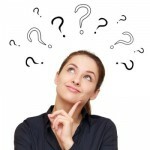 What are the options available in case my visa is rejected: Will I incur any financial loss? In the event of your visa being rejected, you can resubmit your application by providing explanations and documentations to alleviate the concerns raised by the High commission/embassy. Your visa fees are non-refundable but most institutions do refund the tuition fees already remitted to them, after deducting nominal administrative charges, which is usually mentioned in the offer letter or in the concerned institution’s website. The consultant can assist you for claiming the refund of your tuition fees from the institutions. Can I visit my home during my studies abroad? Why are the entrance tests/proficiency tests important requirements to study/migrate abroad? All the western countries insist that the students belonging to non-English speaking countries should be able to handle the English language fluently while studying in their country for English taught program. English language proficiency is therefore an important requirement to assess your visa application and hence we would recommend having English language proficiency scores. English Language Tests: Pearson’s PTE Academic (PT)/IELTS/TOEFL are the most common English language proficiency tests accepted by the institutions and immigration authorities across the world. Please check individual institution/official immigration department website for their requirements. For MBA/Engineering studies in many countries Graduate Record Examinations (GRE) standardized test scores Graduate Management Admission Tests (GMAT) scores are considered for gaining entry in to graduate schools or business graduate schools in various English speaking countries, especially the United States. This entry was posted in Study Abroad on August 29, 2016 by Ronnie Fredrick Thimothy. The most awaited Overseas Education Expo of South India, organized by Santa Monica in association with India’s leading media conglomerate Malayala Manorama will be held on the 23 rd and 24th of September 2016 at Hotel Taj Gateway, Kochi, entry to which is absolutely free for students. Over the years, the expo has been rated among the most prestigious overseas Education Expo’s of South India, a must visit for Students and parents looking for quality study programs offered by top notch overseas education institutions. The Overseas Education expo has been seeing truly phenomenal growth in every edition. The last concluded edition of the Overseas Education Expo held at 4 prominent cities of Kerala, Trivandrum, Calicut, Kottayam and Cochin, saw participation of 90 + universities / institutions from 12+ countries and attracted 5000 + students from across kerala, which clearly indicates the growing appeal of the expo as well as the rising demand for quality overseas education in the state of Kerala. The upcoming edition of the overseas education expo, September 2016 will see participation of 90+ universities/ institutions from 12 + countries, all set to showcase the best in world class education to the students of Kerala. The expo is perfect for Students who have completed their 12th grade, those undergoing Bachelors degree or looking for diploma or Masters Programs. Under graduate admissions are possible in varied fields ranging from Engineering/IT, Business and Management, Medicine, Nursing/Health care, Business, Hospitality, Tourism and more. Expo visitors will have the opportunity to speak directly to university/ institutions officials, clear their doubts/ gain more info on a particular institution, courses offered, admission criteria’s , intake schedules, application process, course fees, accommodations available and other important details. Eligible students can also avail application fee waivers, spot offers, bank loans and scholarships assistance. The Overseas Education Expo, September 2016 will have Study abroad seminar sessions by education experts, where students can gain information about study opportunities in various countries and institutions around the globe. These sessions are specially designed to engage and involve the audiences comprising of candidates and their parents in an interactive manner. The pre expo registration process is already up and running at the expo website ww.overseaseducation expo.com. Hurry register today to gain accurate career counseling, course options based on the registration info submitted. Bring copies of your education certificates right from 10th to degree or your last qualifying examination and or professional history (CV) Passport size photographs and IELTS or PTE score (if you have one) Reaching the expo with the above said documents will help representatives to give you a more accurate advice. For more information on Overseas Education Expo, September 2016 reach us on 0484-4140999, 09645222999. This entry was posted in Education Expo September 2016 on August 22, 2016 by Ronnie Fredrick Thimothy. At a time when employers around the world are seeking individuals with international education and exposure, studying abroad is the best option one might have towards ensuring a rewarding career. However with a gamut of universities and institutions across the globe, offering a myriad of study programs across streams, it is quite normal to get confused as to which one to choose that would be best in one’s interest. 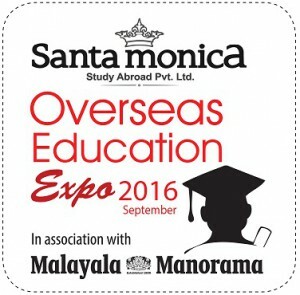 The Overseas Education Expo September 2016 organized by Santa Monica study Abroad Pvt. Ltd in association with Malayala Manorama co Ltd on 23 rd and 24th September 2016 from 10 am -6pm at Taj Gateway, Kochi, intends to demystify overseas education and would serve as the ideal platform for students and parents to explore various study options abroad, offered by 80 + top class universities/ institutions from 10+ countries. Here one will have the opportunity to have a one on one session with admission officers and clear queries regarding institutions, courses offered, the admissions process, entry requirements and any additional details they would require. Exhaustive seminar sessions by experts on topics ranging from job centric programs, Education loans, scholarships/internships, stay back and work rights visa, PR options, Part time/ full time jobs will be held as part of the Overseas Education Expo September 2016 . It doesn’t matter even if one hasn’t decided on which program or university to choose, which, one certainly will, after visiting the expo. Student’s can use the dedicated expo website www.overseaseducation expo.com and view full list of exhibitors, which would give them a fair idea about the participating universities/institutions. 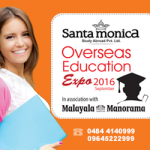 For more information on the Santa Monica Overseas Education Expo September 2016 and registration log on to the dedicated education expo website www.overseaseducationexpo.com at the earliest or call 0484-4140999. This entry was posted in Education Expo September 2016 and tagged Education expo September 2016 on August 10, 2016 by Ronnie Fredrick Thimothy. Gone are the days when one had to run from bank to bank to secure an education loan, thanks to the Union government’s vidya lakshmi portal www.vidyalakshmi.co.in , a portal launched with the noble mission to ensure that no eligible student is deprived of the rightful opportunity to pursue higher education for want of money. 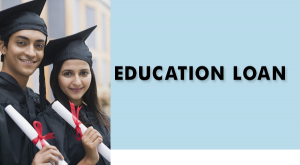 The portal at present provides information about 66 education loan schemes and is a blessing for students, who can search by entering the loan amount required and finalize an education loan suitable to them and straightway apply for it, all this within a matter of minutes after registering using their name, email id etc. Forget the lengthy application forms and end number of visits to banks with piles of documents that used to sap both ones energy and time. The Vidyalakshmi portal acts as a singly window platform to apply to multiple banks for education loans. It requires only a single application and does away with the cumbersome method which required separate application form for each banks. The loan application form submitted by the student via the vidyalakshmi portal is downloaded by the bank authorities for scrutiny and if found eligible, then for further processing. This entry was posted in Education loans on August 9, 2016 by Ronnie Fredrick Thimothy. If the latest edition of annual Science Cosmopolitan 2016 (Wissenschaft weltoffen), by DAAD and The German Centre for Higher Education and Science Research (DZHW) is any indication, Germany is slated to become a top study abroad destination for India students. By the way India has already overtaken Russia in terms of the number of student outbound, an anticipated development considering the stellar reputation German institutions enjoy, be it on account of its state-of-the-art research facilities or the diverse programs it offers in Engineering/IT, Business/management, healthcare, life sciences, Social sciences, humanities, literature, arts to mention a few. 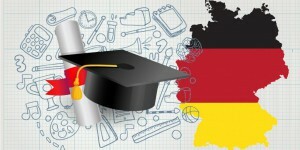 Global collaborations in research, relatively low tuition fees and living cost, coupled with exponential increase in number of English taught programs both at graduate and post graduate levels which currently stand at 192 and 984 makes Germany the natural choice for an Indian student settling for nothing short of best study abroad experience. German universities are known for offering degree programs in a wide range of disciplines with strong focus on research and practice-oriented learning, able guided by renowned faculties from around the globe. Scholarships are readily available to international student with strong academic credentials The German Academic Exchange Service (DAAD) apart from many German organizations offer international students with scholarships, irrespective of their nationality or the program chosen. The excellent connections many higher education institutions in Germany have with industry within and outside Germany, enable students to gain precious industrial exposure and experience enhancing employability levels. With a booming economy showing positive signs of further growth, Post study job opportunities in Germany looks brighter than never before. International students are permitted to work 120 full days or 240 half days during their course of study and can optimally utilize the stay back period of 18 months after graduation to look for a job. No surprise that majority of International students like to remain in Germany after their studies. Thinking of exploring study options in Germany? A wise decision indeed, Santa Monica Study Abroad Pvt. Ltd, your most trusted overseas education consultant, Kochi is here to facilitate admissions to leading institutions in Germany. Our experienced and well informed overseas studies experts offer unbiased and accurate information about Institutions and study programs in Germany that fit your profile and budget. For more information on study abroad options in Germany, visit your nearest branch of Santa Monica Study Abroad or reach us on 0484-4140999. This entry was posted in STUDY ABROAD IN GERMANY on August 4, 2016 by Ronnie Fredrick Thimothy.